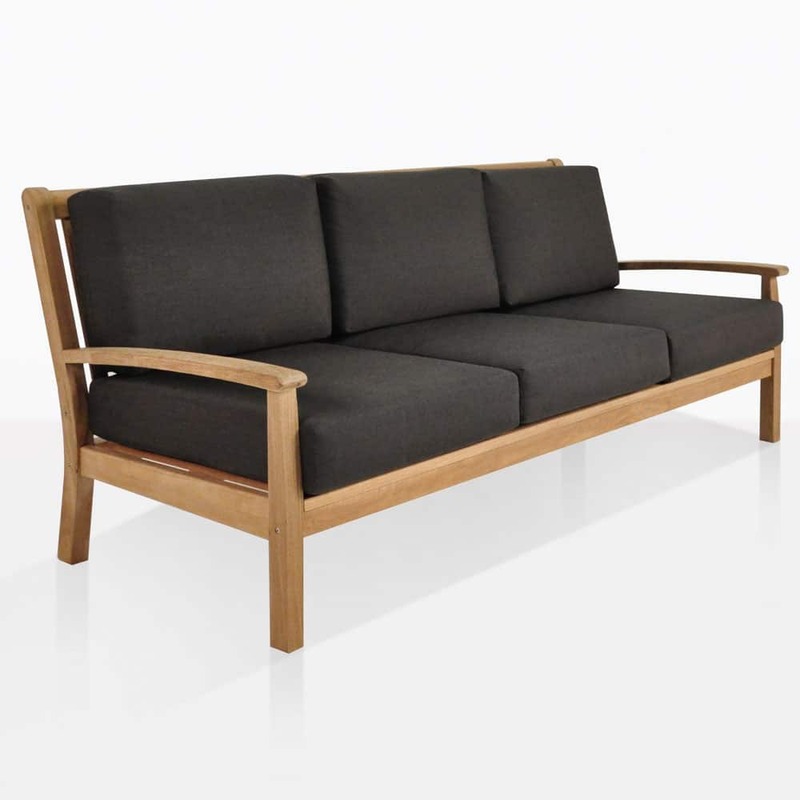 Take a moment in pure luxury with our stunning Naples Teak Outdoor Sofa. Giving a refined, traditional edge to modern living, the Naples Outdoor Sofa will make a beautiful impact in a variety spaces. 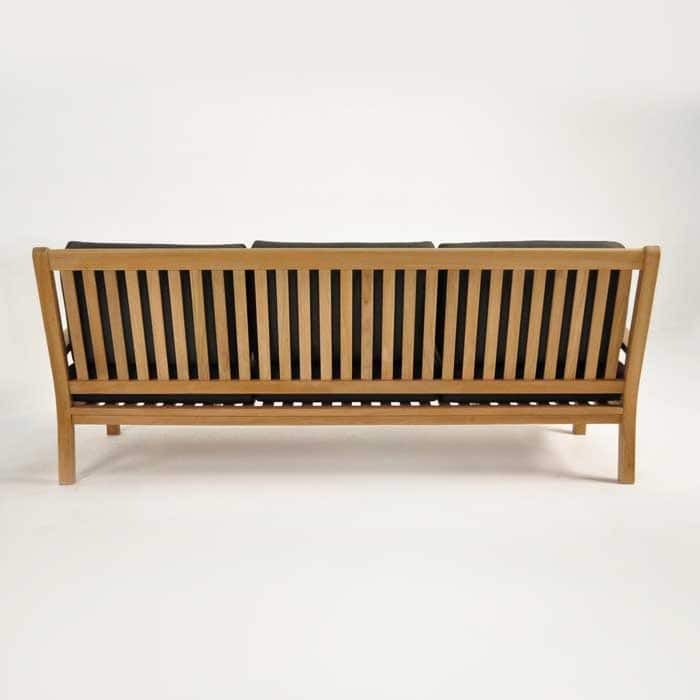 W84" x D34" x H34"
This 84” long Sofa is part of the increasingly popular Naples Teak Outdoor Furniture Collection; modeled off simple, sturdy, classic 50s furniture where craftsmanship was key. 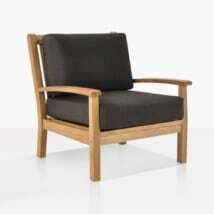 The design features a chunky, square frame and rounded arms. Cushions are also rounded, thick and comfortable, giving an overall inviting collection – you will find that you’ll be spending most of your time outdoors! Also featuring in this modest collection are the Naples Outdoor Loveseat, Naples Outdoor Lounge Chair and Naples Outdoor Teak Coffee Table. Get prepared to make a lavish setting you will be proud to host wonderful days and nights of entertaining loved ones. Set up your patio for casual tapas with two Naples Outdoor Sofas in an ‘L’ shape with 3 Naples Outdoor Lounge Chairs placed in open areas. Dress with some Raw Concrete Letterbox Accent Tables for a terrific mix of materials and modernizing this classic set. 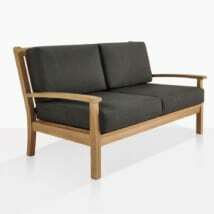 Try the Naples Outdoor Sofa as a single, statement piece for your porch to enjoy those long, lazy afternoons! The Naples Sofa has also become a sought after choice for indoors! In keeping with a mid-century modern look, place a few bold throw cushions on this Sofa with the Manhattan Side Table for an instant vintage-chic look. 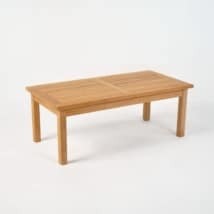 The Naples Collection is constructed from premium, A-Grade Teak, ensuring an attractive, long lasting, and durable product which ages beautifully and is easy to maintain! 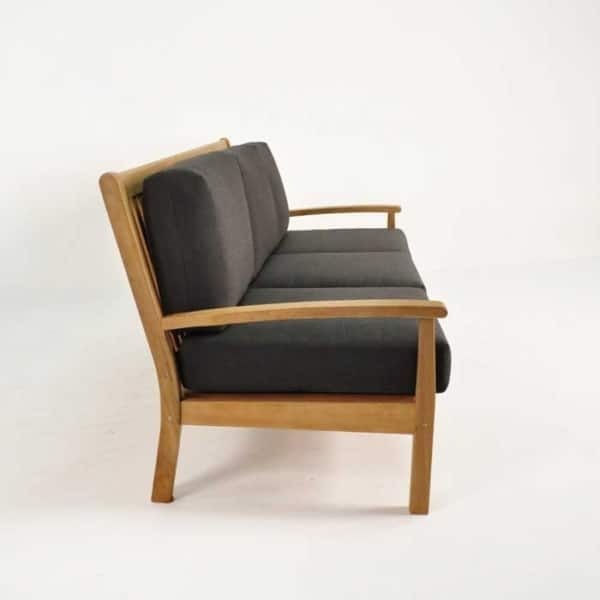 Our cushions are made from revered Sunbrella® fabric, in a variety of 3 elegant colors: Coal, Taupe, and Canvas. Teak Warehouse also now offers custom colors at no extra charge!